Please enclose your name and contact details. Disclaimer: We want to be transparent and accountable about how we spend your donations. CERN provides the necessary operating resources for fundraising. Nevertheless, a small fraction of the unrestricted donations is used to cover processing fees applying to contributions received online, and other operating expenditures. 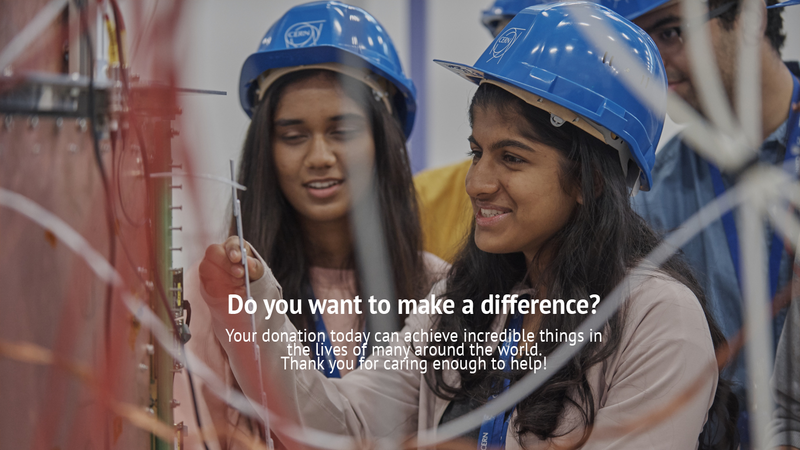 For more information please see our Fundraising and Ethical Policies, as well as the Recognition Policy for Fundraising at CERN. For donors based in Switzerland, your donation is tax deductible. If you are giving from other countries, learn about tax efficient gift options.